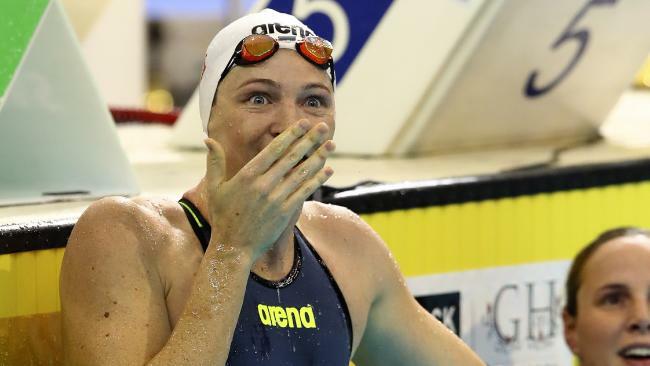 Cate Campbell is back after taking a year out from swimming. A PROGRAM tweak has ensured swimmers James Magnussen, Kyle Chalmers and Cate Campbell will have to hit the ground running when they launch their comeback at this week's Gold Coast Commonwealth Games trials. Australia coach Jacco Verhaeren said semi-finals have been removed this year, ensuring a cutthroat heats session will determine the eight finalists. 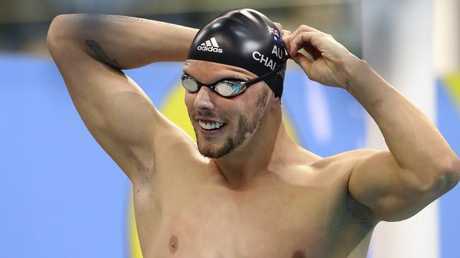 Verhaeren said the semi-finals were ditched to keep the pressure on his athletes and create the intensity of a major meet, tipping even Campbell, Chalmers and Magnussen to feel the pinch. Former world champion Campbell officially returns to competition after taking a 2017 sabbatical in the wake of her disappointing Rio Olympic campaign. Two-time world champion Magnussen is back after taking time to recover from shoulder surgery while Rio gold medallist Chalmers missed the 2017 world titles due to a heart operation. "Even for them it will be tough competition," Verhaeren said. "We cut out the semis, it's top eight immediately qualify for the final. "We did it on purpose to replicate and create tough conditions to make the final to drive peak performance and resilience, to show every moment counts." Verhaeren copped criticism for allowing the high profile trio to enjoy a 2017 break from competition, missing the world titles campaign in Budapest where Australia finished a distant eighth with one gold. But the Dolphins mentor felt vindicated after seeing the trio arrive for the four-day selection trials starting on Wednesday. "They all took a break, all for very different reasons but for the right reasons and it shows," he said. "They are truly excited to perform and are in fine shape. Kyle Chalmers had a heart operation last year. "I can understand some criticism. But none of them actually stopped training. "They were very professional in their break trying to shape up for this event - to me that makes complete sense."